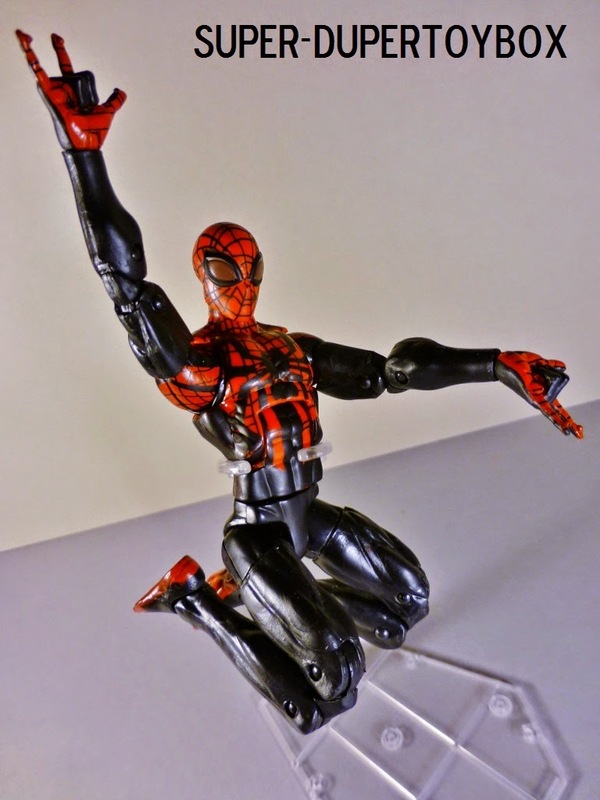 I picked up the Superior Spider-Man from this series back in January, and after seeing the recent Amazing Spider-Man 2, I found the movie figure on sale. 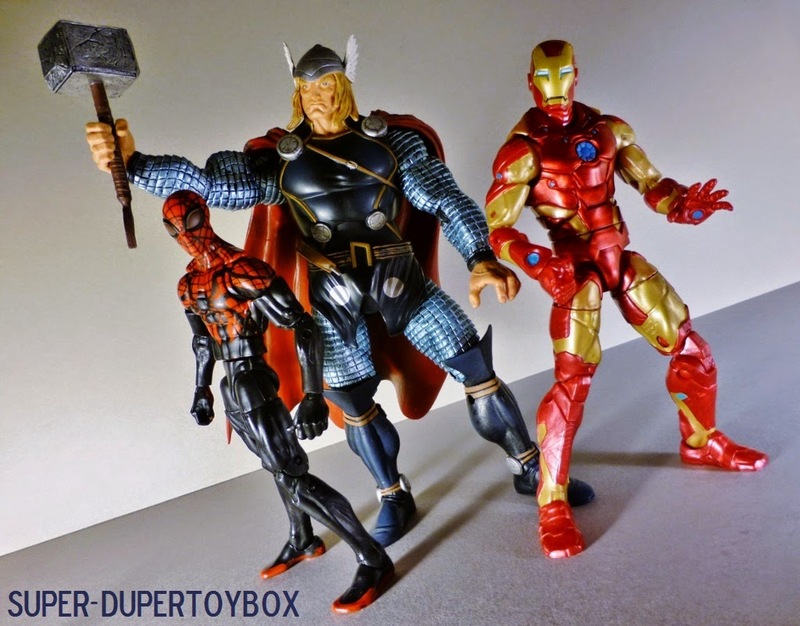 I've passed on most all the latest Legends Series figures due to their recent price hike, but couldn't resist cherry-picking a few of my favorites. 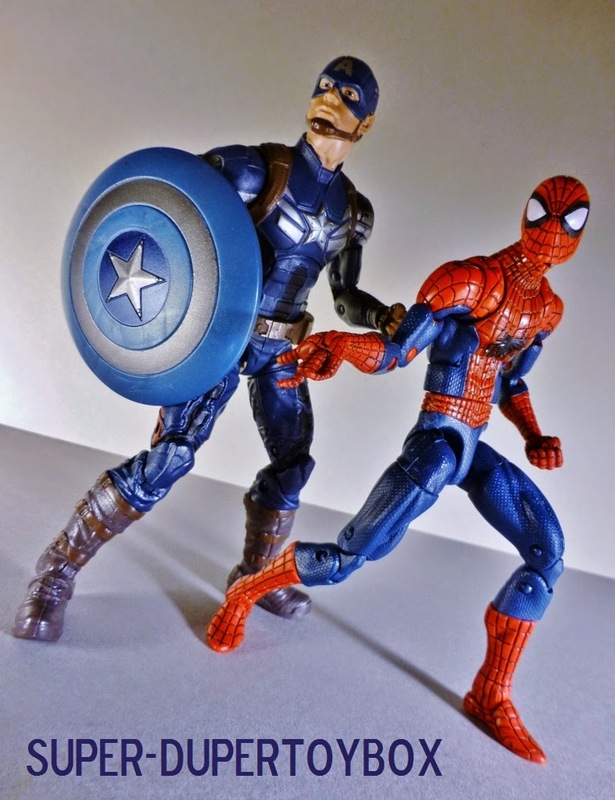 I've said before I prefer what I perceive as the sturdier feel of the Mattel DC Universe Classics series figures, but there's no denying the great articulation of these two Hasbro Legends, especially important in a Spider-Man action figure. 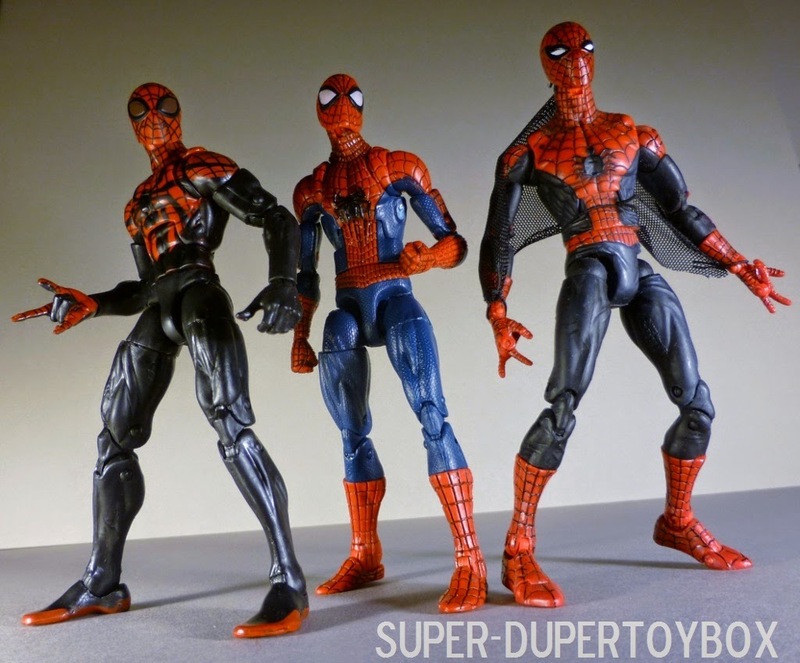 Often there is some integrity of sculpt sacrificed for this kind of range of movement, but these look more realistically proportioned to me than most the past Legends Spider-Man figures I've seen. 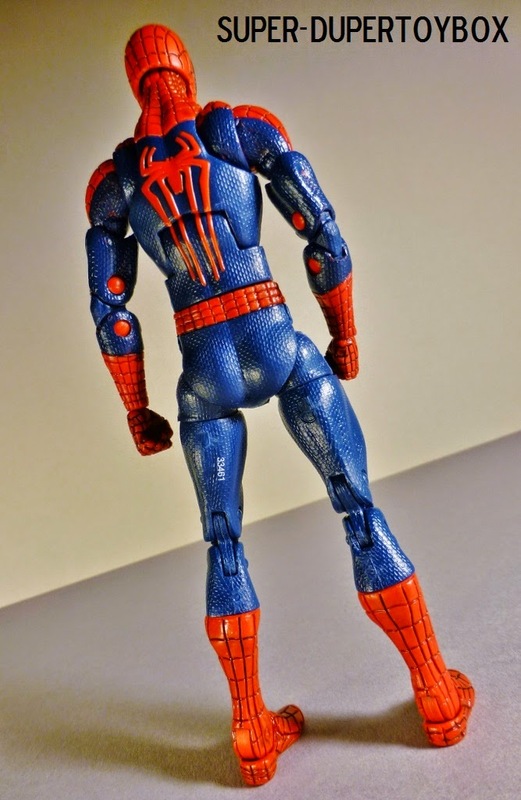 The Amazing Spider-Man 2 figure disappointed with damaged paint on the left rib cage, but is otherwise a great Spidey, lanky but muscular like actor Andrew Garfield. 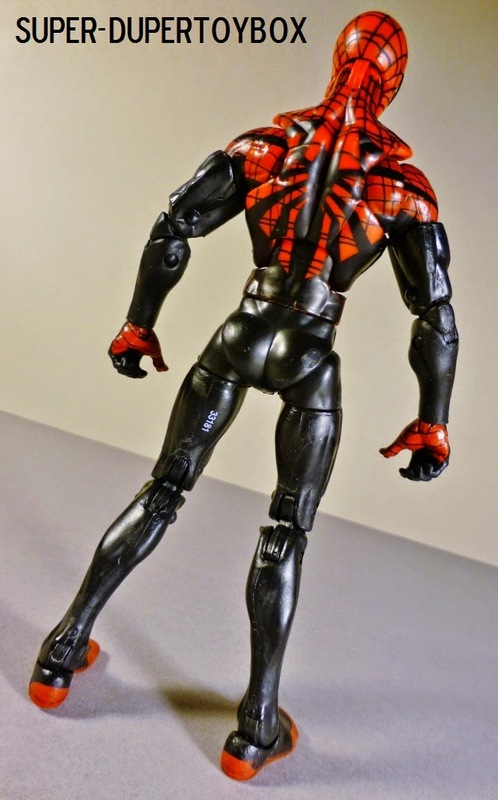 The red plastic pegs in the elbow joints are somewhat distracting as well, but the detailed relief sculpting of the torso insignia, and incised web pattern & eyes are splendid! 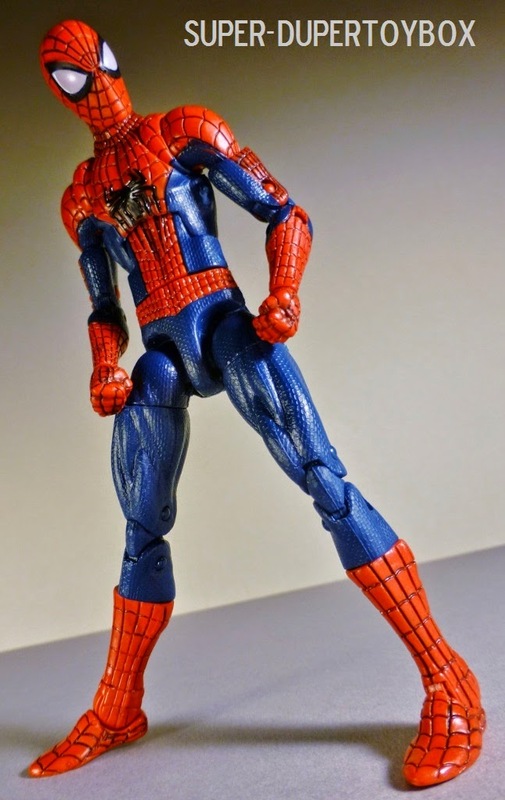 The texture of Spider-Man's body suit also gives the figure some added dimension & realism. 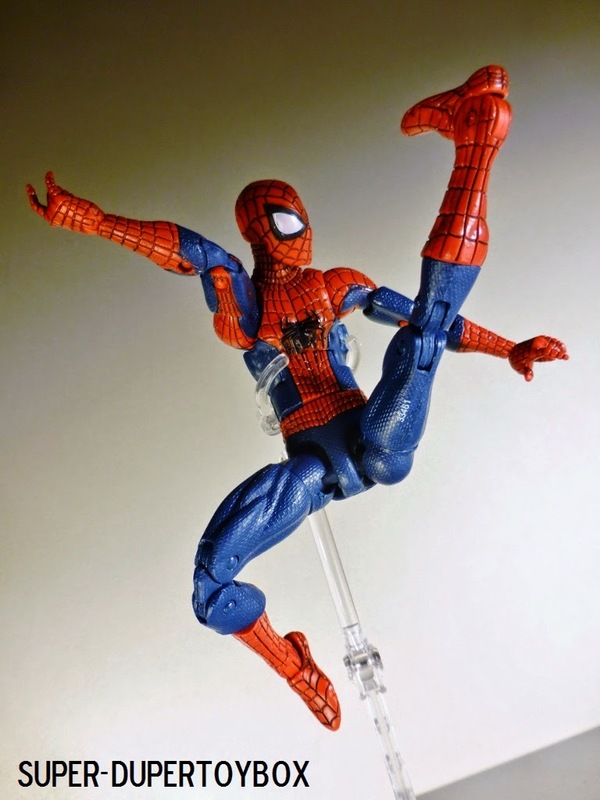 Spidey has great articulation, including but not limited to ankle rocker-joints, hinged wrists on both sets of interchangeable hands, and a very expressive hinged ball-jointed head. The forward range of the figure's abdominal hinge is limited, but contributes, even if minimally with added assistance of the waist swivel. I truly enjoyed the Superior Spider-Man title that recently concluded, wherein Otto Octavius managed to take over Peter Parker's body, vowing to be a better webslinger than his longtime nemesis was, only to manage wrecking it all with his ego. 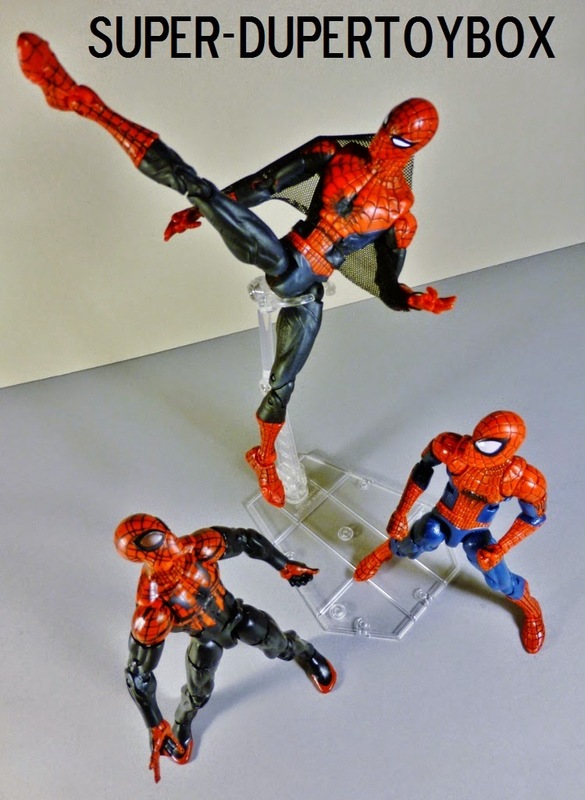 The redesigning of Spidey's suit was well done, sharing elements of Ben Reilly Spidey and Miles Morales Ultimate Comics Spider-Man. The sculpt in the hands even detailed the characteristic clawed fingertips Otto employed, even if only in duller bumps here. 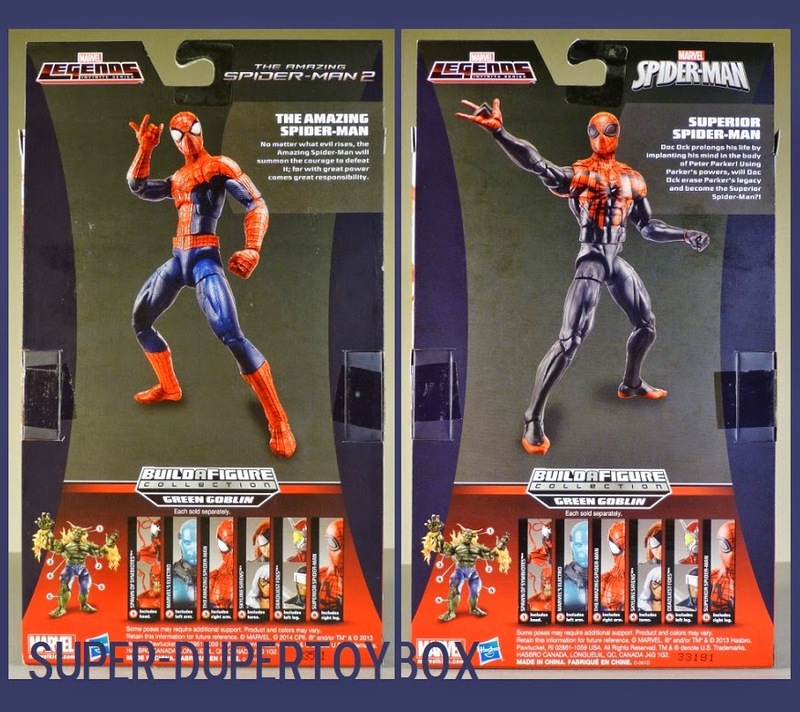 We get alternative gripping hands on Superior Spidey as opposed to the fists Amazing came with- a web strand could have complimented this, but we are pretty much getting less for more across the board these days in all things. 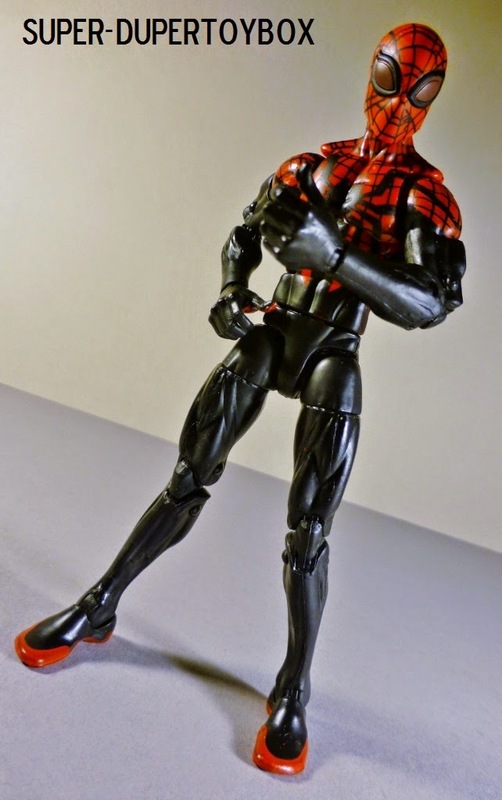 Superior Spidey has a little more range in his abdominal hinge, but has crankier butterfly/scapula joints than the Amazing Spidey. Both figures outfit patterns are broken up by the aforementioned shoulder articulation, but it was handled pretty well considering. 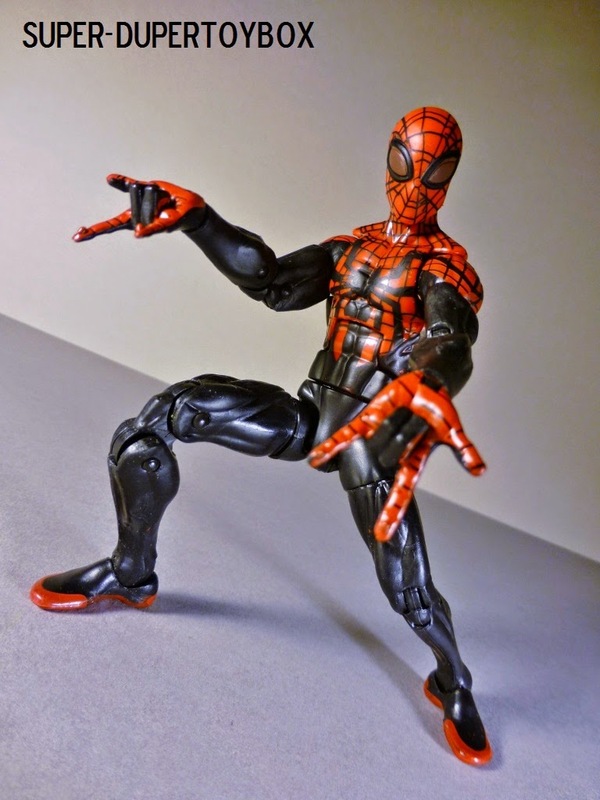 The chaotic web pattern in Superior Spidey's outfit is reminiscent of the character's chaotic representation throughout the series by artists Ryan Stegman and Humberto Ramos. This later evolution of the character's outfit seemed to have eye lenses more gun metal in color, but I like the bronze color Hasbro gave them a lot. 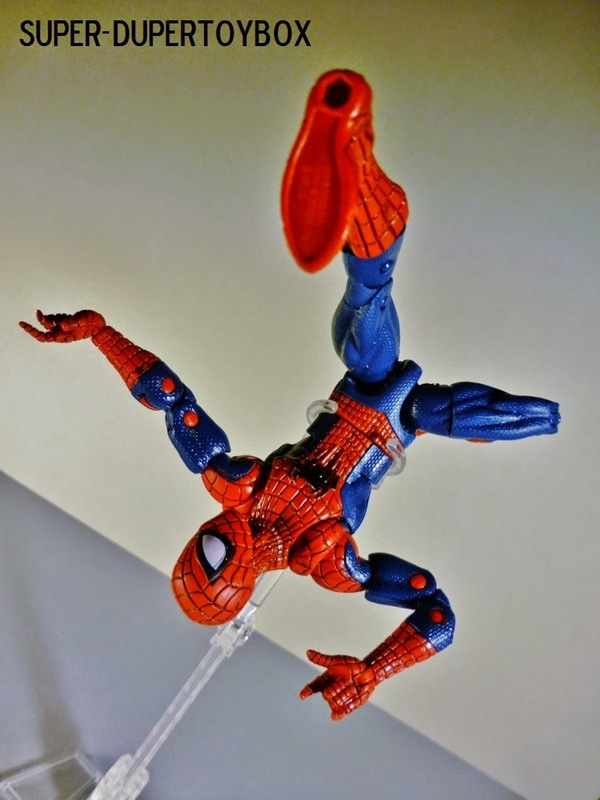 These new Legends Spider-Man figures are great fun, even if overpriced. 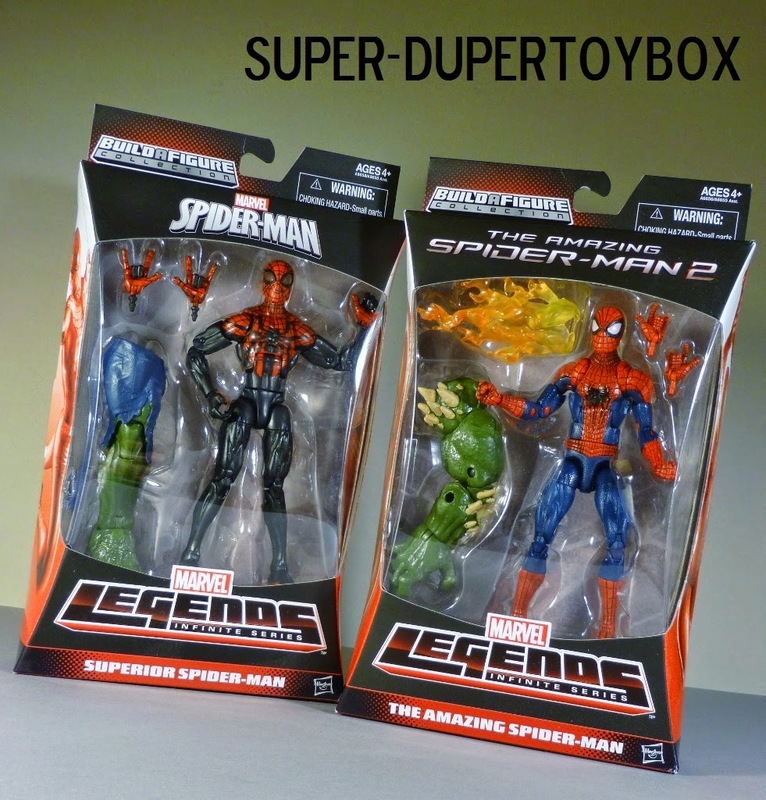 I'd be willing to bet you will find more of them on sale now that the movie came out and Hasbro will be trying to sell the Legends Guardians of the Galaxy Series. I'd recommend picking at least one up if you find it at a discount- even a small one. These came with parts for a Green Goblin BAF if you care to collect the entire series, which while I wasn't personally interested in. 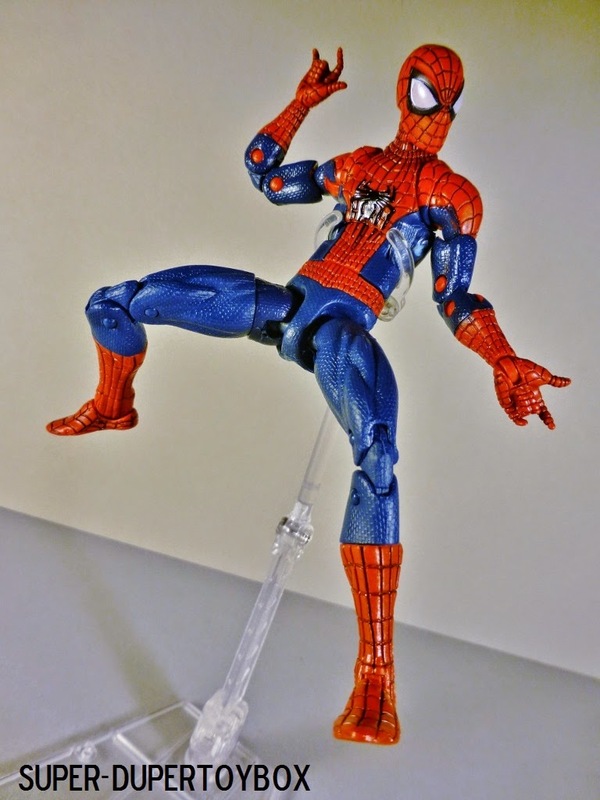 While I like the new Spider-Man figures, I'd say the ToyBiz First Appearance Spidey from 2005 still does his own thing- recalling the original look that artist Steve Ditko designed, beginning a decades long reign as Marvel's hottest property. 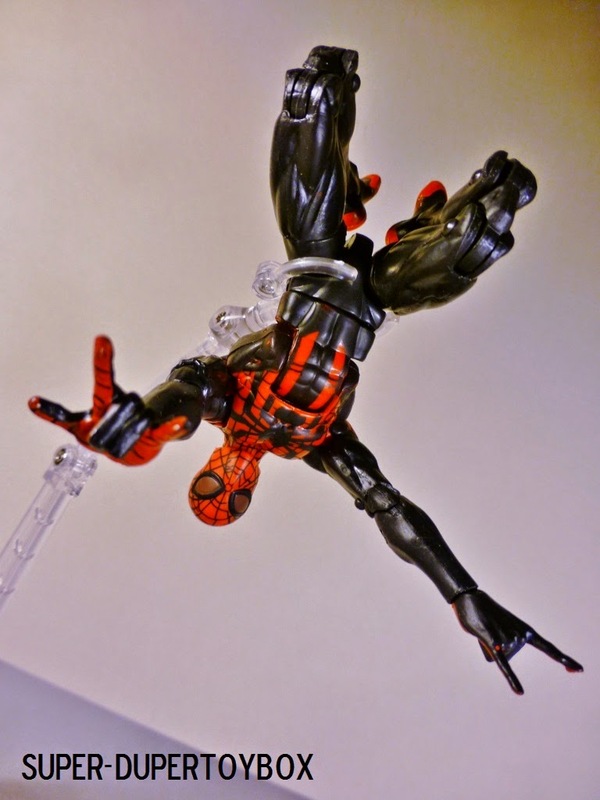 Spider-Man has been one of my favorites since childhood, his comics having been some of my first! 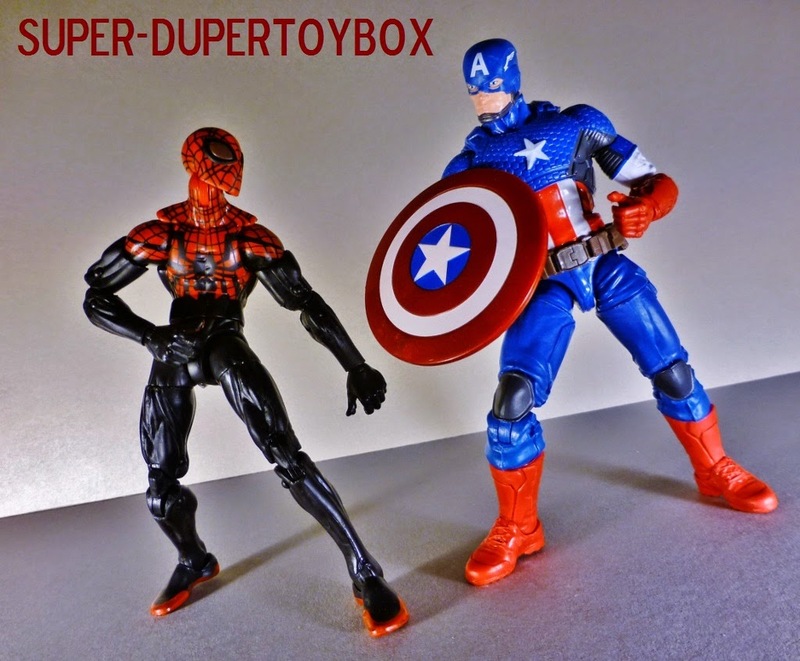 See more of my Marvel Legends pictures at the Boyish Wonder Pinterest! 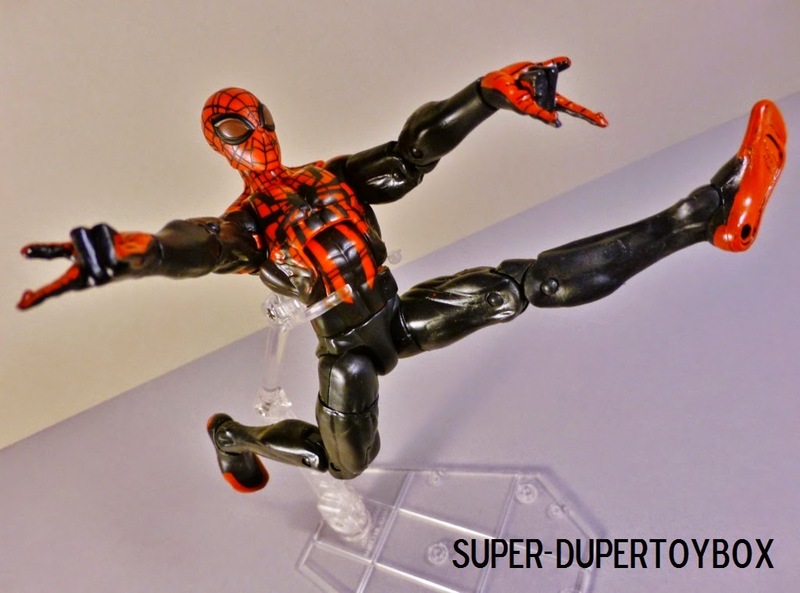 I picked up a Superior Spider-Man over the weekend and was met with a letdown as it's leg was badly warp right out of the package! I took it back and got a refund and went on Ebay and bought me a few other things. Just so let down. There is only one Spidey for me....Parker! 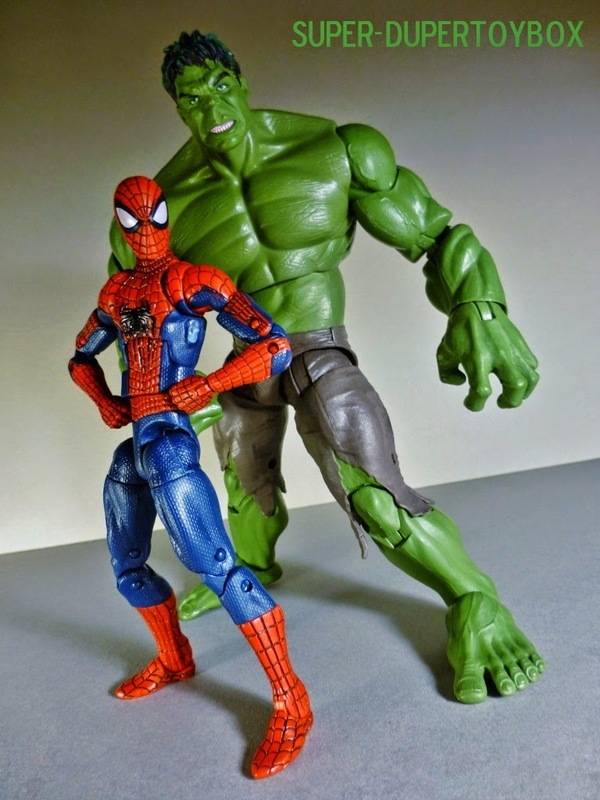 These two figures are just fun to pose!